Tunisia, the BTI’s most-improved in democratic transformation (jumping from rank 100 in the BTI 2012 to rank 64 in the BTI 2014), has managed its transformation process like the frog who made it out of the well by taking two steps forward and one step back. After approving the constitution and establishing a new caretaker government at the end of January, the frog is clearly headed in the right direction. Tunisia has reached the breakthrough-point for consolidating its young democracy. With 200 members voting in favor, 4 against and 12 abstaining, the National Constituent Assembly (NCA) approved the new constitution, clearly bypassing the officially required two-thirds majority. In contrast to Egypt with its recent 98.1% public support for the quickly elaborated post-Morsi constitution, observers do not suspect manipulation, co-optation or intimidation behind the 92.6% NCA majority in Tunisia. Instead, observers see this as Tunisia’s slow way of dealing with things, with some calling it inefficient, some calling it shaky. But others call it thoughtful and inevitable. Thanks to a series of ups and downs, backs and forths, Tunisia has put itself back on track. And the chances are good that Tunisians will enjoy lasting improvements in their political freedoms. This comes as somewhat of a surprise. Until the end of 2013, observers were reluctant to predict a positive future for Tunisia. Having achieved excellent progress after the removal of longtime and omnipotent president Ben Ali on 14 January 2011, Tunisia transformed from a hard-line autocracy (as classified in the BTI 2012) to a (yet still highly defective) democracy in the BTI 2014. But 2013 brought several setbacks like the (assumedly political) murders of oppositionist leaders Chokri Belaïd and Mohamed Brahmi. As a consequence, 65 opposition members temporarily withdrew from the NCA meetings and brought the constitutional process to a halt. A long and nerve-wracking struggle over a roadmap out of the political impasse followed, with the resignation of former Prime Minister Ali Larayedh on 9 January 2014. Despite these troubles, all central actors, whether Islamists or secular, conservative or progressive, have always agreed on one crucial point: Tunisia’s future rests on achieving a broad majority consensus on the constitution. As NCA member Moncef Cheikh-Rouhou stated, the constitution could have been finalized with a near 70% support among the deputies by December 2012. But in order to achieve a really unifying – not polarizing – constitution, a broadly encompassing support was needed. What contributed to this way of dealing with things? First, neither party was in the position to expect getting an absolute majority of popular support. Current opinion polls predict only 30% support for each of the main parties in parliament, the Islamist Ennahda and the more secular Nida Tounis, with a “grand coalition” as the most likely scenario after the next elections. Attacking each other too strongly was therefore not a viable option. Instead, both factions tried to increase their future power through shaping the most suitable political system. Ennahda lobbies for a strict parliamentarian system, but not because of the overall advantages a parliamentarian system might have for Tunisia, but rather due to the simple expectation that Ennahda might receive the biggest share of votes in parliamentary elections. However, securing the post of the (directly elected) state president is very unlikely in a country “where 90% of the Tunisian elite are secular,” as Ridha Chennoufi from the Université de Tunis explains. The secularists use the same argument for the opposite conclusion: they lobby for a semi-presidential system to counterbalance an Islamist dominance in the parliament (and hence government) with a secular president. 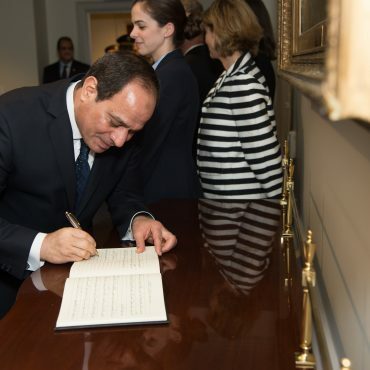 Second, events in Egypt since summer 2013, beginning with the ousting of elected President Mohamed Morsi and the subsequent gradual revocation of democratic principles through the military-backed regime have served as a warning for Tunisia. Tunisia’s army, according to several observers, might have no intention of interfering in politics, but the country’s police and security forces are feared enough to make similar events in Tunisia at least imaginable. In addition, secularists have understood the need for compromise and that they cannot exclude Tunisia’s Islamists from the political decision-making process. Witnessing how easily the Egyptian military’s 48-hour ultimatum could sweep away a constitution reminded nearly all actors in Tunisia of the need for institutionalized political procedures that are treated with respect by all stakeholders. Third, investing time was perceived as a necessary to overcoming crises and building trust. Aware of the long road ahead, the NCA addressed the need for negotiations and debates from the onset. 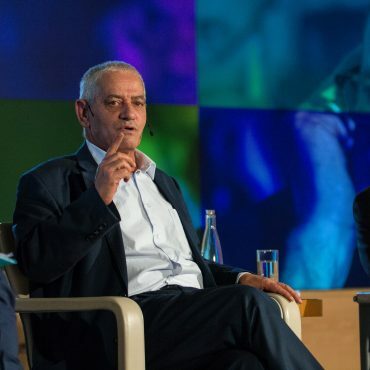 Initially, the outlook for success was modest but, as Joachim Paul from the Tunis office of the Heinrich Böll Foundation states, “there was no alternative to sitting together and discussing.” As NCA deputies went slowly through each article of the draft constitution together, they built trust that reached across party lines. As they continued, ideological differences within the six separate committees of the NCA dissipated and debates over issues rather than philosophical stances gained traction. During the height of these debates, when sessions ran from 8 a.m. to 1 a.m. the next day, most deputies slept a maximum of four hours each night. When Mohamed Allouch died of a heart attack just the night before the NCA’s last draft session, the entire parliament mourned his loss. Contributions from outside the NCA were also crucial for the success of the new constitution. 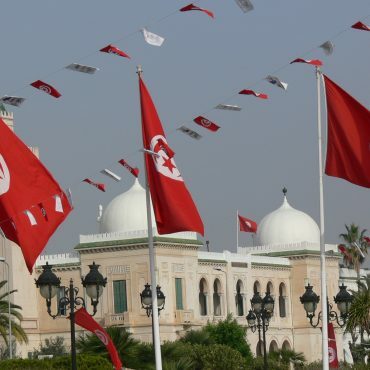 Tunisia’s national dialogue that included the famous Quartet (consisting of UGTT, the Employers’ Association, the League of Human Rights, and the Lawyers’ Association) offered a framework for ongoing discussion throughout the process. But even before the national dialogue got underway, some 100 civil society organizations contributed to discussions over disputed aspects of the constitutional draft at workshops and conferences. Able to draw on the new agreement, Prime Minister Mehdi Jomaa’s interim Cabinet, also announced in late January, can now concentrate on the most urgent challenges of bringing the economy in order and ensuring security. Though there are several imminent problems on the horizon, there are also plenty of reasons for optimism. On their way to presidential and parliamentary elections that are crucial to consolidating Tunisia’s democracy, Tunisians will continue to climb further out of the well. Jan Claudius Völkel is Visiting Professor and DAAD Longterm Lecturer at the Faculty of Economics and Political Science at Cairo University. He is the BTI Regional Coordinator for the Middle East and North Africa and author of the BTI 2014 MENA Regional Report.